Designation: Associate Professor, University of Brescia, Italy. Research Interest: Heart Failure, Cardiotoxicity, Cardiovascular Diseases Management and Telemedicine. 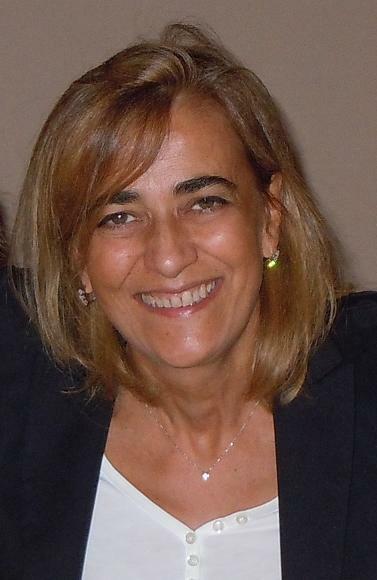 Biography: Savina Nodari (University Medical School of Brescia and Spedali Civili Hospital, Brescia, Italy), Associate Professor of Cardiology and Director of the Heart Failure Unit and Day- Hospital of Heart Failure and Arrhythmias at the University and Spedali Civili, Hospital of Brescia. Prof. Nodari has training and expertise in research areas that are key to heart failure prevention and to post-discharge patient management. She has particurarly developed her skills in the fields of heart failure, cardiotoxicity, cardiovascular diseases management and telemedicine. She has been a key player in the collaboration between the University of Brescia --and Brescia’s Civil Hospital-- and Northwestern University Feinberg School of Medicine- Bloom Cardiovascular Institute, where she was Visiting Professor for 3 years. She has conducted RCTs and participated in non-RCT observational studies, and has published in a number of peer-reviewed journals. Member of Scientific Commettee of National Health Institute for Educational Programs in Cardiovascular Disease since 2004. 2000 2nd Up-date in Heart Failure: new aspects in physiopathology and therapy. (Brescia). 2000 Up-date in Heart Failure. Physiopathology, news in pharmacological and non-pharmacological treatment. XXIX Congresso Nazionale AMIRS. (Como). 1997 Up-date in Heart Failure physiopathology and therapy. Theoric/practice course for cardiologists. 1998 Up-date in Ischemic and valvular cardiac disease. Theoric/practice course for cardiologists. 2002 Up-date in Heart Failure physiopathology, clinical setting, diagnosis, therapy and disease management programs of patients with chronic heart failure. Theoric/practice course for cardiologists. Teaching in continuing education courses and up-date in cardiology, endorsed by the Italian Society of Cardiology and Working Group of Heart Failure. Since 2000 has developed periodic education and up-date courses regarding Heart Failure for cardiologists, general pratictioners and nurses. Metra M, Faggiano P, Giubbini R, Manca C, Marchini A, Niccoli L, Nodari S, Zanini R, Dei Cas L. Evaluation of asynergy of the left ventricle in infarct patients. A comparative analysis of 2-dimensional echocardiography, angio-cardio- scintigraphy and contrast media ventriculography Cardiologia. 1986 Apr;31(4):273- 8. Dei Cas L, Ghirardi P, Metra M, Nodari S, Nordio G, Mussini E. Comparative pharmacokinetics of a new slow release and standard prazosin in healthy subjects. Curr Ther Res, 1986; 40: 17-22. Metra M, Nodari S, Nordio G, Bonandi L, Raddino R, Feroldi P, Dei Cas L, Visioli O. A randomized double-blind crossover study of nicardipine and nifedipine in patients with angina pectoris and concomitant essential hypertension. Cardiovasc Drugs Ther. 1988 Jan;1(5):513-21. Dei Cas L, Metra M, Nodari S, Riva S, Manca C, Visioli O. Lack of tolerance development during chronic ibopamine administration to patients with congestive heart failure. Cardiovasc Drugs Ther. 1988 Jul;2(2):221-9. Dei Cas L, Metra M, Danesi R, Nodari S, Guaini T, Raddino R, Ghirardi PE. Steady state pharmacokinetics of a new slow release-preparation of prazosin. Curr Ther Res, 1988; 44 (2): 275-277. Furlanello F, Auguglia C, Brandi F, Brusoni B, Cadel A, Caponetto S, Dei Cas L, Gavazzi A, Guiducci V, Mangiavacchi M, Martines C, Metra M, Nodari S, Terrachini U, Tumiotto G. Influence of ibopamine on heart rate and arrhythmic pattern in CHF patients: a double-blind multicenter study. Giornale Italiano di Cardiologia 1989; 19: 71-80. Dei Cas L, Metra M, Nodari S, Visioli O. Efficacy of ibopamine treatment in patients with advanced heart failure: purpose of a new therapeutic scheme with multiple daily administrations. J Cardiovasc Pharmacol. 1989;14 Suppl 8:S111-7. Dei Cas L, Metra M, Cuccia C, Niccoli L, Nodari S, Visioli O. Prognostic significance of clinical, ergometric and coronarographic data in patients soon after myocardial infarction. Cardiologia 1989 Apr;34(4):317-25. Raddino R, Metra M, Catellani E, Nodari S, Pelà G, Manca C, Dei Cas L. Effetti dell'amrinone su preparati di cuore isolato: studio comparativo con altri agenti inotropi. Cardiologia, 1991; 36: 729-734. Dei Cas L, Metra M, Nodari S, Raddino R, Visioli O. Hemodynamic and clinical effects and treatment tolerance with low-dose iv amrinone in patients with refractory heart failure: a multicenter study. The Group for Research on Amrinone in the Treatment of Refractory Heart Failure. Cardiologia 1991 May;36(5):363-71. Nodari S, Metra M, Gei P, Danesi R, Furloni R, Cuminetti S, Dei Cas L. The acute, chronic continuous after treatment and chronic intermittent with a variable therapeutic window (4 and 6 hours) hemodynamic effects induced with transdermal nitroglycerin in patients with congestive heart failure. Cardiologia 1991 Jun;36(6):451-60. Raddino R, Metra M, Catellani E, Nodari S, Pelà G, Manca C, Dei Cas L. Effects of amrinone on isolated heart preparations: comparative study with other inotropic agents. Cardiologia 1991 Sep;36(9):729-34. Bonandi L, Metra M, Niccoli L, Ettori F, Nodari S, Dei Cas L, Visioli O. Combined invasive and noninvasive study of left ventricular systolic and diastolic function following acute administration of cicloprolol to subjects with normal cardiac function. Cardiovasc Drugs Ther, 1992; 6: 513-517. Dei Cas L, Metra M, Nodari S, Raddino R, Bonandi L, Visioli O. Treatment of refractory heart failure. Cardiologia. 1992 Jul;37(7):501-5. Review. Dei Cas L, Metra M, Nodari S, Leier CV, Visioli O. Interaction between electrolytes and the neurohumoral system. The clinico-prognostic implications of hyponatremia, hypopotassemia and hypomagnesemia in congestive heart failure. Cardiologia 1993 Jun;38(6):393-402. Review. Dei Cas L, Metra M, Nodari S, Visioli O. Treatment strategies in acute heart failure: how to restore hemodynamic stability rapidly and safely. Cardiologia 1993 Sep;38(9):593-9. Review. Dei Cas L, Metra M, Nodari S, Nardi M, Giubbini R, Visioli O. Stress and ischemic heart disease. Cardiologia 1993 Dec;38(12 Suppl 1):415-25. Review. Dei Cas L, Nodari S, Raddino R, Metra M, Pelà G, Nardi M. Current role of non- digitalis inotropic agents in acute and chronic treatment of heart failure. Cardiologia 1994 Mar;39(3):209-15. Review. Dei Cas L, Metra M, Nodari S, Raccagni D. Clinical efficacy of oral dopaminergic agents: new findings. Cardiologia 1995 Dec;40 (12 Suppl 1):131-8. Raddino R, Metra M, Nodari S, Pelá G, Fappani A, Dei Cas L. Pharmacological activity of the new calcium antagonist, lacidipine, on isolated preparations. Gen Pharmacol. 1996 Oct;27(7):1255-9. Metra M, Nodari S, Garbellini M, Boldi E, Rosselli F, Milan E, Giubbini R, Dei Cas L. The effects of mid- and long-term administration (3-4 years) of carvedilol in patients with idiopathic dilated cardiomyopathy. Cardiologia 1997 May;42(5):503- 12. Metra M, Nodari S, D'Aloia A, Madureri A, Rosselli F, Bontempi L, Zanini R, Dei Cas L. Effects of neurohormonal antagonism on symptoms and quality-of-life in heart failure. Eur Heart J. 1998 Feb;19 Suppl B:B25-35. Review. Metra M, Nodari S, Raccagni D, Garbellini M, Boldi E, Bontempi L, Gaiti M, Dei Cas L. Maximal and submaximal exercise testing in heart failure. J Cardiovasc Pharmacol. 1998;32 Suppl 1:S36-45. Review. Zanini R, Curello S, Bonandi L, Giovannini G, Boldi E, D'Aloia A, Metra M, Nodari S, Dei Cas L. Etiopathogenesis of acute myocardial infarction: role of early leukocytosis. Cardiologia 1998 Sep;43(9):925-31. Metra M, Faggiano P, D'Aloia A, Nodari S, Gualeni A, Raccagni D, Dei Cas L. Use of cardiopulmonary exercise testing with hemodynamic monitoring in the prognostic assessment of ambulatory patients with chronic heart failure. J Am Coll Cardiol. 1999 Mar 15;33(4):943-50. Metra M, Nodari S, D'Aloia A, Bontempi L, Boldi E, Cas LD. A rationale for the use of beta-blockers as standard treatment for heart failure. Am Heart J. 2000 Mar;139(3):511-21. Review. Metra M, Giubbini R, Nodari S, Boldi E, Modena MG, Dei Cas L. Differential effects of beta-blockers in patients with heart failure: A prospective, randomized, double-blind comparison of the long-term effects of metoprolol versus carvedilol. Circulation 2000 Aug 1;102(5):546-51. Metra M, Nodari S, Boldi E, Dei Cas L. Selective or nonselective beta-adrenergic blockade in patients with congestive heart failure. Curr Cardiol Rep. 2000 May;2(3):252-7. Boglioni FV, Metra M, Locati M, Nodari S, Bontempi L, Garbellini M, Doni A, Peri G, Mantovani A. Role of inflammation mediators in the pathogenesis of heart failure. Ital Heart J Suppl. 2001 Jun;2(6):628-33. Review. Metra M, Nodari S, Dei Cas L. Beta-blockade in heart failure: selective versus nonselective agents. Am J Cardiovasc Drugs 2001;1(1):3-14. Review. Metra M, Giubbini R, Nodari S, Boldi E, Modena MG, Dei Cas L. -blockade in chronic heart failure. Response Circulation 2001; 103 e 118. Metra M, Nodari S, Bignotti T, Gnesin P, Trussardi E, Cas LD. New and old beta- blockers in the treatment of heart failure. Recenti Prog Med. 2002 Feb;93(2):113-24. Review. Metra M, Nodari S, Trussardi E, Vizzardi E, Cas LD. Dilated cardiomyopathy: indication and role of invasive evaluation. Ital Heart J Suppl. 2002 Apr;3(4):412-8. Review. Metra M, Nodari S, D'Aloia A, Muneretto C, Robertson AD, Bristow MR, Dei Cas L. Beta-blocker therapy influences the hemodynamic response to inotropic agents in patients with heart failure: a randomized comparison of dobutamine and enoximone before and after chronic treatment with metoprolol or carvedilol. J Am Coll Cardiol. 2002 Oct 2;40(7):1248-58. Metra M, Nodari S, Dei Cas L. Heart failure: should treatment favor prognosis or quality of life? Opinion... in favor of prognosis. Ital Heart J. 2002 Oct;3 Suppl 6:47S-50S. Review. Metra M, Nodari S, Bordonali T, Cagnazzi E, Boldi E, Dei Cas L. ACE-inhibitors, AT1 receptor antagonists and diastolic dysfunction. Cardiologia1999 Dec;44 Suppl 1(Pt 1):53-8. Review. Metra M, Nodari S, Parrinello G, Giubbini R, Manca C, Dei Cas L. Marked improvement in left ventricular ejection fraction during long-term beta-blockade in patients with chronic heart failure: clinical correlates and prognostic significance. Am Heart J. 2003 Feb;145(2):292-9. Dei Cas L, Metra M, Nodari S, Dei Cas A, Gheorghiade M. Prevention and management of chronic heart failure in patients at risk. Am J Cardiol. 2003 May 8;91(9A):10F-17F. Review. Muneretto C, Negri A, Bisleri G, Manfredi J, Terrini A, Metra M, Nodari S, Cas LD. Is total arterial myocardial revascularization with composite grafts a safe and useful procedure in the elderly? Eur J Cardiothorac Surg. 2003 May;23(5):657-64. D'Aloia A, Faggiano P, Aurigemma G, Bontempi L, Ruggeri G, Metra M, Nodari S, Dei Cas L. Serum levels of carbohydrate antigen 125 in patients with chronic heart failure: relation to clinical severity, hemodynamic and Doppler echocardiographic abnormalities, and short-term prognosis. J Am Coll Cardiol. 2003 May 21;41(10):1805-11. Muneretto C, Bisleri G, Negri A, Manfredi J, Metra M, Nodari S, Dei Cas L. Off- pump coronary artery bypass surgery technique for total arterial myocardial revascularization: a prospective randomized study. Ann Thorac Surg. 2003 Sep;76(3):778-82. Muneretto C, Bisleri G, Negri A, Manfredi J, Metra M, Nodari S, Culot L, Dei Cas L. Total arterial myocardial revascularization with composite grafts improves results of coronary surgery in elderly: a prospective randomized comparison with conventional coronary artery bypass surgery. Circulation 2003 Sep 9;108 Suppl 1:II29-33. Covolo L, Gelatti U, Metra M, Donato F, Nodari S, Pezzali N, Dei Cas L, Nardi G. Angiotensin-converting-enzyme gene polymorphism and heart failure: a case-control study. Biomarkers 2003 Sep-Oct;8(5):429-36. Nodari S, Metra M, Dei Cas L. Beta-blocker treatment of patients with diastolic heart failure and arterial hypertension. A prospective, randomized, comparison of the long-term effects of atenolol vs. nebivolol. Eur J Heart Fail. 2003 Oct;5(5):621-7. Vizzardi E, Nodari S, Fiorina C, Procopio R, Trussardi E, D'Aloia A, Rocca P, Metra M, Dei Cas L. Prognostic evaluation in patients with heart failure. Ital Heart J Suppl. 2003 Sep;4(9):720-6. Review. Nodari S, Metra M, Dei Cas A, Dei Cas L. Efficacy and tolerability of the long-term administration of carvedilol in patients with chronic heart failure with and without concomitant diabetes mellitus. Eur J Heart Fail. 2003 Dec;5(6):803-9. Lugari R, Dei Cas A, Ugolotti D, Barilli AL, Camellini C, Ganzerla GC, Luciani A, Salerni B, Mittenperger F, Nodari S, Gnudi A, Zandomeneghi R. Glucagon-like peptide 1 (GLP-1) secretion and plasma dipeptidyl peptidase IV (DPP-IV) activity in morbidly obese patients undergoing biliopancreatic diversion. Horm Metab Res. 2004 Feb;36(2):111-5. Metra M, Nodari S, Pedrinazzi C, Rocca P, Manerba A, Vizzardi E, Danesi R, Dei Cas L. Plasma brain natriuretic peptide levels in the diagnostic and prognostic assessment of patients with heart failure. Pros. Ital Heart J. 2003 Dec;4 Suppl 8:59S- 67S. Review. Covolo L, Gelatti U, Metra M, Nodari S, Piccichè A, Pezzali N, Zani C, Alberti A, Donato F, Nardi G, Dei Cas L. Role of beta1- and beta2-adrenoceptor polymorphisms in heart failure: a case-control study. Eur Heart J. 2004 Sep;25(17):1534-41. Metra M, Nodari S, Dei Cas L. Current guidelines in the pharmacological management of chronic heart failure. J Renin Angiotensin Aldosterone Syst. 2004 Sep;5 Suppl 1:S11-6. Review. Sabbadini G, Di Lenarda A, Metra M, Nodari S, Moretti M, Brentana L, Dei Cas L, Sinagra G. Pharmacological therapy of chronic heart failure in the elderly. Ital Heart J. 2004 Dec;5 Suppl 10:37S-51S. Review. Metra M, Nodari S, Brentana L, Vizzardi E, Rocca P, Fracassi F, Danesi R, Dei Cas L. Beta-blockers in the treatment of heart failure. Ital Heart J. 2005 May;6 Suppl 2:46S-52S. Nodari s, Metra M, Trussardi E, Madureri A, Manerba A, Sacchetti E, Dei Cas L. Cardiovascular and neurohumoral effects of the administration of reboxetine to health volunteers. Heart International 2005; 1 (4-8): 59-66. Metra M, Zani C, Covolo L, Nodari S, Pezzali N, Gelatti U, Donato F, Nardi G, Dei Cas L. Role of beta1- and alpha2c-adrenergic receptor polymorphisms and their combination in heart failure: a case-control study. Eur J Heart Fail. 2006 Mar;8(2):131-5. Faggiano P, D'Aloia A, Antonini-Canterin F, Pinamonti B, Di Lenarda A, Brentana L, Metra M, Nodari S, Dei Cas L. Usefulness of cardiac calcification on two- dimensional echocardiography for distinguishing ischaemic from nonischaemic dilated cardiomyopathy: a preliminary report. J Cardiovasc Med (Hagerstown). 2006 Mar;7(3):182-7. Nodari S, Corulli A, Manerba A, Metra M, Apostoli P, Dei Cas L. Endothelial damage due air pollution. Heart International 2006; 2: 115-126. Metra M, Nodari S, Bordonali T, Milani P, Fracassi F, Dei Cas L. Beta-blocker therapy of heart failure: an update. Expert Opin Pharmacother. 2007 Feb;8(3):289- 98. Review. Vizzardi E, Nodari S, Fiorina C, Metra M, Dei Cas L. Plasma homocysteine levels and late outcome in patients with unstable angina. Cardiology 2007;107(4):354-9. Metra M, Nodari S, Bordonali T, Milani P, Dei Cas L. Clinical trials update from the World Congress of Cardiology 2006. Expert Opin Pharmacother. 2007 Apr;8(6):881-9. Metra M, Nodari S, Parrinello G, Specchia C, Brentana L, Rocca P, Fracassi F, Bordonali T, Milani P, Danesi R, Verzura G, Chiari E, Dei Cas L. The role of plasma biomarkers in acute heart failure. Serial changes and independent prognostic value of NT-proBNP and cardiac troponin-T. Eur J Heart Fail. 2007 Aug;9(8):776- 86. Fiorina C, Vizzardi E, Lorusso R, Maggio M, De Cicco G, Nodari S, Faggiano P, Dei Cas L. The 6-min walking test early after cardiac surgery. Reference values and the effects of rehabilitation programme. Eur J Cardiothorac Surg. 2007 Nov;32(5):724-9. Metra M, Nodari S, Bordonali T, Bugatti S, Fontanella B, Lombardi C, Saporetti A, Verzura G, Danesi R, Dei Cas L. Anemia and heart failure: a cause of progression or only a consequence? Heart International 2007; 3 (1-2): 1-11. Nodari S, Rocca P, Saporetti A, Bettari L, Foresti A.L, Tanghetti E, Metra M, Dei Cas L. The combination of ezetimibe and Statin: a new treatment for hypercholesterolemia. Heart International 2007; 3 (1-2): 12-17. Raddino R, Caretta G, Teli M, Bonadei I, Robba D, Zanini G, Madureri A, Nodari S, Dei Cas L. Nitric oxide and cardiovascular risk factors. Heart International 2007; 3 (1-2): 19-26. Nodari S, Manerba A, Metra M, Dei Cas L. Endocannabinoids and cardiovascular prevention: a real progress? Heart International 2007; 3 (1-2): 27-34. Faggiano P, Vizzardi E, Pulcini E, Maffeo D, Fracassi F, Nodari S, Dei Cas L. The study of left ventricular diastolic function by Doppler echocardiography: the essential for the clinician. Heart International 2007; 3 (1-2): 42-50. Vizzardi E, Nodari S, Fiorina C, Metra M, Dei Cas L. Raised homocysteine plasma concentration in patients with heart failure: clinical significance. Monaldi Arch Chest Dis. 2007 Jun;68(2):96-102. Nodari S, Manerba A, Berlinghieri N, Milesi G, Metra M, Dei Cas L. Nitrates: new insights about old drugs. Heart International 2007; 3 3-4: 69-77. Dei Cas L, Metra M, Nodari S, Raddino R. Rationale for the use of high dose sustained-release isosorbide-5mononitrate in ischemic heart disease and chronic heart failure. Heart International 2007; 3 3-4: 98-111. Vizzardi E, Fracassi F, Nardi M, Chiari E, Faggiano P, Rocca P, Nodari S, Dei Cas L. Asymptomatic quadricuspid aortic valve. Can J Cardiol. 2008 Feb;24(2):8. Metra M, Nodari S, Parrinello G, Bordonali T, Bugatti S, Danesi R, Fontanella B, Lombardi C, Milani P, Verzura G, Cotter G, Dittrich H, Massie BM, Dei Cas L. Worsening renal function in patients hospitalised for acute heart failure: clinical implications and prognostic significance. Eur J Heart Fail. 2008 Feb;10(2):188-95. Vizzardi E, Fracassi F, Farina D, Nardi M, D'Aloia A, Chiari E, Nodari S, Dei Cas L. Persistence of left superior vena cava, absence of coronary sinus and cerebral ictus. Int J Cardiol. 2008 May 23;126(2):e39-41. Metra M, Nodari S, Bordonali T, Milani P, Lombardi C, Bugatti S, Fontanella B, Verzura G, Danesi R, Dei Cas L. Bisoprolol in the treatment of chronic heart failure: from pathophysiology to clinical pharmacology and trial results.Ther Clin Risk Manag. 2007 Aug;3(4):569-78. Vizzardi E, D'Aloia A, Zanini G, Antonioli E, Chiari E, Fiorina C, Raddino R, Nodari S, Dei Cas L. Coronary artery fistula: diagnostic role of transthoracic and transesophageal echocardiography. Minerva Cardioangiol. 2008 Jun;56(3):361-4. Metra M, Zacá V, Nodari S, Cas LD, Maggioni AP. The CORONA study. G Ital Cardiol. 2008 Apr;9(4):229-33. Vizzardi E, Lanzarotto F, Carabellese N, Mora A, Bertolazzi S, Benini F, Nodari S, Dei Cas L, Lanzini A. Lack of association of coeliac disease with idiopathic and ischaemic dilated cardiomyopathies. Scand J Clin Lab Invest. 2008 May 9:1-4. Dei Cas L, Metra M, Nodari S, Lombardi C, Zacà V. Mechanical circulatory supports for the treatment of advanced heart failure. G Ital Cardiol (Rome). 2008 Oct;9(10 Suppl 1):99S-104S. Vizzardi E, Nodari S, D'Aloia A, Chiari E, Faggiano P, Metra M, Dei Cas L. CA 125 tumoral marker plasma levels relate to systolic and diastolic ventricular function and to the clinical status of patients with chronic heart failure. Echocardiography. 2008 Oct;25(9):955-60. Leone O, Rapezzi C, Sinagra G, Angelini A, Arbustini E, Bartoloni G, Basso C, Caforio AL, Calabrese F, Coccolo F, d'Amati G, Mariesi E, Milanesi O, Nodari S, Oliva F, Perkan A, Prandstraller D, Pucci A, Ramondo A, Silvestri F, Valente M, Thiene G; Federazione Italiana di Cardiologia.Documento di consenso sulla biopsia endomiocardiaca promosso dall’Associazione per la Patologia Cardiovascolare Italiana. G Ital Cardiol (Rome). 2009 Sep;10(9 Suppl 1):3S-50S. Vizzardi E, Faggiano P, Chiari E, Maffeo D, Frattini S, Bellandi F, Nodari S, Dei Cas L. The study of left ventricular diastolic function by Doppler echocardiography: the essential for the clinician. Monaldi Arch Chest Dis. 2009 Mar;72(1):23-8. Tavazzi L, Nodari S. The GISSI-HF trial. G Ital Cardiol (Rome). 2009 Mar;10(3):129-34. Vizzardi E, Nodari S, Zanini G, Manerba A, Frattini S, Madureri A, Raddino R, Dei Cas L. High sensitivity C-reactive protein: a predictor for recurrence of atrial fibrillation after successful cardioversion. Intern Emerg Med. 2009 Aug;4(4):309-13. Vizzardi E, Faggiano P, Antonioli E, Zanini G, Chiari E, Nodari S, L Dei Cas. Thrombus or tumor? a case of fibroelastoma as indicated during the submission process. Cases J. 2009 Jan 8;2(1):31. Nodari S, Metra M, Milesi G, Manerba A, Cesana BM, Gheorghiade M, Dei Cas L. The role of n-3 PUFAs in preventing the arrhythmic risk in patients with idiopathic dilated cardiomyopathy. Cardiovasc Drugs Ther.2009 Feb; 23(1):5-15. Vizzardi E, D'Aloia A, Zanini G, Fiorina C, Chiari E, Nodari S, Dei Cas L. Tako- tsubo-like left ventricular dysfunction: transient left ventricular apical ballooning syndrome. Int J Clin Pract. 2010 Jan;64(1):67-74. Nodari S, Jao GT, Chong JR. Clinical utility of Tolvaptan in the management of hyponatremia in HF.International Journal of Nephrology and Renovascular Disease 2010;3:51-60. Metra M, Zacà V, Parati G, Agostoni P, Bonadies M, Ciccone M, Dei Cas A, Iacoviello M, Lagoia R, Lombardi C, Maio R, Magri D, Musca G, Padeletti M, Perticone F, Pezzali N, Piepoli M, Sciacqua A, Zanolla L, Nodari S, Filardi PP, Dei Cas L. Cardiovascular and non cardiovascular comorbidities in patients with chronic heart failure. Journal of Cardiovascular Medicine 2011;12(2): 76-84. Nodari S, Triggiani M, Campia U, Manerba A, Milesi G, Cesana BM, Gheorghiade M, Dei Cas L. Effects on n-3 polyunsaturated fatty acids on left ventricular function and functional capacity in patients with dilated cardiomyopathy. Journal of the American College of Cardiology 2011; 157(7): 870-9. Ambrosy A, Wilcox J, Nodari S, Gheorghiade M. Acute heart failure syndromes:cardiac destruction and reconstruction. Journal of Cardiovascular Medicine 2011; 12(4):258-63. Nodari S, Triggiani M, Campia U, Manerba A, Milesi G, Cesana BM, Gheorghiade M, and Dei Cas L. N-3 Polyunsaturated Fatty Acids (n-3 PUFAs) in the prevention of atrial fibrillation recurrences after electrical cardioversion. A Prospective Randomized Study. Circulation 2011. 24(10): 1100-1106. Nodari S, Manerba A, Vaccari A, Milesi G, Carubelli V, Lazzarini V, Lombardi C, Ettori F, Metra M, Dei Cas A. Six-year prognosis of diabetic patients with coronary artery disease. Eur J Clin Invest. 2012 Apr;42(4):376-83. The left ventricle as a mechanical engine: from Leonardo da Vinci to the echocardiographic assessment of peak power output-to-left ventricular massDini FL, Guarini G, Ballo P, Carluccio E, Maiello M, Capozza P, Innelli P, Rosa GM, Palmiero P, Galderisi M, Razzolini R, Nodari S; on behalf of the Working Group on Myocardial Function of the Italian Society of Cardiology. 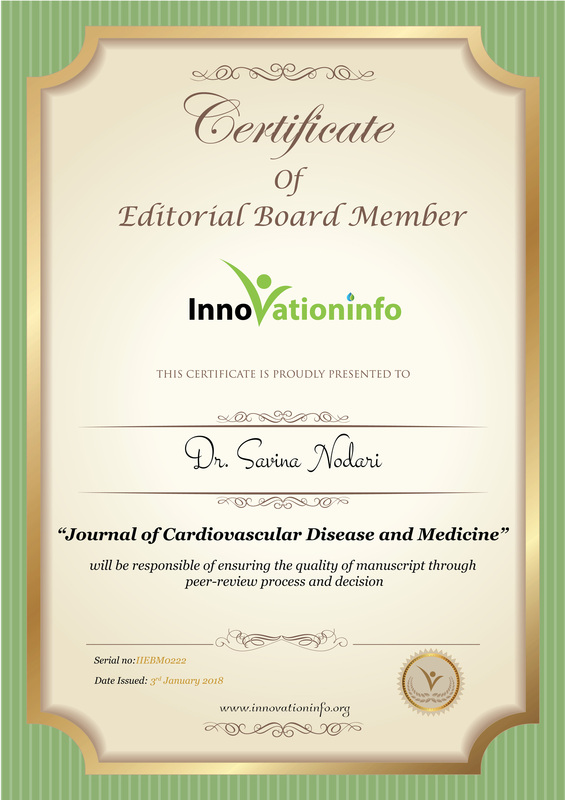 Journal of Cardiovascular Medicine 2011 Sep 19. Shah An, Nodari S, Gheorghiade M. Biomarkers in acute heart failure syndromes- are they fulfilling their promise? Cardiology 2011. 120(1): 19-21. Palazzuoli A, Beltrami M, Nodari S, McCollough P, Ronco C. Clinical impact of renal dysfunction in heart failure. Reviews in cardiovascular medicine. 12(4): 186- 199. Gheorghiade M, Vaduganathan M, Ambrosy A, Böhm M, Campia U, Cleland JG, Fedele F, Fonarow GC, Maggioni AP, Mebazaa A, Mehra M, Metra M, Nodari S, Pang PS, Ponikowski P, Sabbah HN, Komajda M, Butler J. Current management and future directions for the treatment of patients hospitalized for heart failure with low blood pressure. Heart Fail Rev. 2012 May 12. Nodari S, Triggiani M, Manerba A, Lupi L, Dei Cas L.Chronic heart failure therapy: where we are and where we are going to. G Ital Cardiol. 2012 Oct;13(10):145-51. Vaduganathan M, Ambrosy AP, Greene SJ, Mentz RJ, Subacius HP, Maggioni AP, Swedberg K, Nodari S, Zannad F, Konstam MA, Butler J, Gheorghiade M.The Predictive Value of Low Relative Lymphocyte Count in Patients Hospitalized for Heart Failure with Reduced Ejection Fraction: Insights from the EVEREST Trial. Circ Heart Fail. 2012 Oct 9. Gheorghiade M, Vaduganathan M, Greene SJ, Mentz RJ, Adams KF Jr, Anker SD, Arnold M, Baschiera F, Cleland JG, Cotter G, Fonarow GC, Giordano C, Metra M, Misselwitz F, Mühlhofer E, Nodari S, Frank Peacock W, Pieske BM, Sabbah HN, Sato N, Shah MR, Stockbridge NL, Teerlink JR, van Veldhuisen DJ, Zalewski A, Zannad F, Butler J. Site selection in global clinical trials in patients hospitalized for heart failure: perceived problems and potential solutions. Heart Fail Rev. 2012 Oct 26. Sarma S, Mentz RJ, Kwasny MJ, Fought AJ, Huffman M, Subacius H, Nodari S, Konstam M, Swedberg K, Maggioni AP, Zannad F, Bonow RO, Gheorghiade M; on behalf of the EVEREST investigators.Association between diabetes mellitus and post- discharge outcomes in patients hospitalized with heart failure: findings from the EVEREST trial. Eur J Heart Fail. 2013 Feb;15(2):194-202. Greene SJ, Vaduganathan M, Lupi L, Ambrosy AP, Mentz RJ, Konstam MA, Nodari S, Subacius HP, Fonarow GC, Bonow RO, Gheorghiade M; EVEREST Trial Investigators. Prognostic significance of serum total cholesterol and triglyceride levels in patients hospitalized for heart failure with reduced ejection fraction (from the EVEREST Trial). Am J Cardiol. 2013 Feb 15;111(4):574-81. Senni M, Parrella P, De Maria R, Cottini C, Böhm M, Ponikowski P, Filippatos G, Tribouilloy C, Di Lenarda A, Oliva F, Pulignano G, Cicoira M, Nodari S, Porcu M, Cioffi G, Gabrielli D, Parodi O, Ferrazzi P, Gavazzi A. Predicting heart failure outcome from cardiac and comorbid conditions: the 3C-HF score. Int J Cardiol. 2013 Feb 20;163(2):206-11. Dini FL, Guarini G, Ballo P, Carluccio E, Maiello M, Capozza P, Innelli P, Rosa GM, Palmiero P, Galderisi M, Razzolini R, Nodari S; Working Group on Myocardial Function of the Italian Society of Cardiology. The left ventricle as a mechanical engine: from Leonardo da Vinci to the echocardiographic assessment of peak power output-to-left ventricular mass. J Cardiovasc Med (Hagerstown). 2013 Mar;14(3):214- 20. Gheorghiade M, Vaduganathan M, Ambrosy A, Böhm M, Campia U, Cleland JG, Fedele F, Fonarow GC, Maggioni AP, Mebazaa A, Mehra M, Metra M, Nodari S, Pang PS, Ponikowski P, Sabbah HN, Komajda M, Butler J. Current management and future directions for the treatment of patients hospitalized for heart failure with low blood pressure. Heart Fail Rev. 2013 Mar;18(2):107-22. Dei Cas L, Affatato A, Madureri M, Metra M, Nodari S. Terapia post-infartuale con beta-bloccanti. Perché ed in quali pazienti. Attualità in tema di cardiopatia ischemica. Marino A, Fracalossi L.1985: 127-139. Visioli O, Affatato A, Leonzi O, Metra M, Nodari S, Dei Cas L. Diagnosi differenziale tra cardiomiopatia dilatativa primaria e ischemica. Prospettive di terapia. Atti Giornate Cardiologiche Romane 1985: 79-82. Dei Cas L, Metra M, Nodari S, Nordio G. Il trattamento dell'insufficienza cardiaca. Notiziario di Cardiologia dell'Associazione Nazionale Cardiologi Extraospedalieri 1986; 4: 7-10. Dei Cas L, Metra M, Raddino R, Guaini T, Nodari S., Emicrania, angina e ipertensione arteriosa; dai beta-bloccanti ai calcioantagonisti. La nicardipina. Confinia Cephalalgica 1988;7: 209-219. Metra M, Nodari S, Guaini T, Danesi R, Furloni R., L Dei Cas. I vasodilatatori nello scompenso. Lo scompenso cardiaco oggi – Atti V Incontro Cardiologico Mantovano 1988:66-73. Dei Cas L, Metra M, Nodari S, Nordio G. Inodilatatori: perché e quali. Opinion Leader 1988: 5. Dei Cas L, Metra M, Danesi R, Guaini T, Nodari S, Furloni R, Raddino R. Angina pectoris: terapia farmacologica. Atti del simposio 'Cardiologia’ 1989: 29-42. Raddino R, Pelà G, Gargano M, Nodari S, Metra M, Dei Cas L. I recettori coronarici. Atti 1° Corso di Aggiornamento "Attualità terapeutiche nel trattamento dell'ischemia miocardica" 1989:33-41. Metra M, Danesi R, Guaini T, Furloni R, Nodari S, Raddino R, Dei Cas L. Antiaggreganti e cardiopatia ischemica. Atti 1° Corso di Aggiornamento "Attualità terapeutiche nel trattamento dell'ischemia miocardica"1989:127-138. Dei Cas L, Metra M, Furloni R, Guaini T, Danesi R, La Canna G, Nodari S. Modificazioni dell'attività simpato-adrenergica nell'insufficienza cardiaca. Atti del II° Corso di Aggiornamento “Attualità in tema di insufficienza cardiaca. Sperimentazione dei farmaci cardiovascolari: problemi metodologici ed etici”. 1990: 123-131. Dei Cas L, Metra M, Furloni R, Guaini T, Danesi R, Nodari S, Raddino R. Farmacologia clinica e sperimentazione. Atti del II° Corso di Aggiornamento “Attualità in tema di insufficienza cardiaca. Sperimentazione dei farmaci cardiovascolari: problemi metodologici ed etici” 1990: 187-195. Dei Cas L, Metra M, Nodari S, Guaini T, Danesi R, Panina G. L'amrinone nella sindrome da bassa gittata. Atti VIII Congresso Nazionale “La terapia Intensiva negli anni 90” - I Quaderni di Ventotto. 1990; 43: 95-99. Metra M, Cuccia C, Milan E, Panina G, Danesi R, Nodari S, Gei P, Dei Cas L. Il test da sforzo nel postinfarto: Indicazioni, significato e limiti. Atti del IIIo Corso di aggiornamento “Attualità in tema di infarto miocardico”. 1991: 163-186. Dei Cas L, Metra M, Gei P, Milan E, Panina G, Nodari S. Diagnostica clinica dello scompenso cardiaco. Notiziario di Cardiologia della Associazione Nazionale Cardiologi Extraospedalieri, 2, 1990: 22-27. Dei Cas L, Metra M, Raddino R, Danesi R, Furloni R, Nodari S. ACE inibitori o beta bloccanti nell'infarto miocardico anteriore recente. La Cardiologia nel mondo, 1991; 41 (10): 745-748. Cerri B, Nodari S. Significato dei fattori di rischio coronarico dell'infartuato. Fumo, diabete, obesità e stress. Atti III Corso d'Aggiornamento "Attualità in tema di infarto miocardico”, Bormio 1991: 315-339. Metra M, Raddino R, Nodari S, Dei Cas L. L'ibopamina nella terapia dell'insufficienza cardiaca. Aggiornamenti in Cardiologia - 1992 Edizioni Luigi Pozzi – Roma, 1992: 193-195. Dei Cas L, Raddino R, Nodari S, Metra M, Panina G, D'Aloia A, Cuminetti S, Catalano A. Beta bloccanti e diuretici: un'associazione attuale? Aspetti cardiovascolari dell'ipertensione arteriosa. Atti del IVo Corso di aggiornamento. 1992: 131-151. Metra M, Raddino R, Nodari S, Panina G, D'Aloia A, Maggi P, Zanelli E, Dei Cas L. Terapia medica dell'ipertensione arteriosa. Altri vasodilatatori (calcioantagonisti, alfa-antagonisti, antiserotoninergici, dopaminergici). Aspetti cardiovascolari dell'ipertensione arteriosa. Atti del IVo Corso di aggiornamento 1992: 161-182. Dei Cas L, Metra M, Raddino R, Nodari S. Strategie terapeutiche nell’insufficienza cardiaca cronica. Tutte le tappe anti-scompenso. MeMo-Medicina Moderna Italiana 1992;10: 16-25. Metra M, La Canna G, Nodari S, Panina G, D'Aloia A, Nardi M, Gualeni A, Raddino R, Dei Cas L. Valutazione funzionale del paziente con valvulopatia. Attualità in tema di valvulopatie. Atti del V Corso di Aggiornamento 1993: 63-81. Dei Cas L, Metra M, Panina G, D'Aloia A, Nodari S, Nardi M, Raddino R. Indicazioni chirurgiche nella valvulopatia mitralica. Attualità in tema di valvulopatie. Atti del V Corso di Aggiornamento. 1993: 169-180. Dei Cas L, Metra M., Nardi M, Gualeni A, Raccagni D, Nodari S. Le cardiomiopatie: inquadramento generale. Atti VI Congresso Agiornamento Cardiologico per il Personale Infermieristico 1993: 5-32. Dei Cas L, Metra M, Nodari S. Scompenso: la componente neuroendocrina. Il Polso. 1994; 3: 16-20. Dei Cas L, Metra M, Nodari S, Gualeni A, Raccagni D. Dalla disfunzione ventricolare all'insufficienza cardiaca conclamata: il momento dell'intervento nell'anziano. Geriatria. 1994; VI: 247-50. Dei Cas L, Nodari S, Raddino R, Metra M, Raccagni D, Cody RJ. Trattamento diuretico dello scompenso cardiaco: revisione del valore terapeutico e degli schemi di impiego. Cardiologia 1994. Testi di aggiornamento e Atti del 28o Corso di aggiornamento del Centro A. De Gasperis 1994:595-607. Metra M, Nodari S, Raddino R, Nardi M, Gualeni A, Dei Cas L. Prevenzione delle recidive di scompenso cardiaco nel paziente in terapia ottimizzata: gli inotropi non digitalici. Cardiologia 1994. Testi di aggiornamento e Atti del 28o Corso di aggiornamento del Centro A. De Gasperis 1994: 645-661. Dei Cas L, Metra M, Nodari S. I principi attivi in grado di modulare l’iperattività neuroendocrina nello scompenso cardiaco. FATMA 1994; Atti del convegno annuale sullo stato di avanzamento. Programma esecutivo triennale 1991-1993,1994: 75-76. Dei Cas L, Nodari S, Metra M, Raddino R, Raccagni D, Garbellini M, Canclini S, Pelà G. Trattamento dei pazienti asintomatici, sintomatici e refrattari alla terapia. Attualità in tema di cardiomiopatie. Atti del 6o Corso di aggiornamento. 1995: 105- 133. Dei Cas L, Metra M, Nodari S, Raccagni D, Leier CV. Funzione renale e bilancio idroelettrolitico nel trattamento dello scompenso cardiaco. Cardiologia 1995. Testi di aggiornamento e Atti del 29o Corso di aggiornamento del Centro A De Gasperis 1995: 712-728. Metra M, Nodari S, Raccagni D, Garbellini M, Madureri A, Dei Cas L. Scompenso cardiaco: ruolo dei beta bloccanti. Aggiornamenti in cardiologia 1995. Atti del X Congresso meridionale in cardiologia. Roma 1995: 181-95. Metra M, Nodari S, Pelà G, Raccagni D, Garbellini M, Papa A, Raddino R, Dei Cas L. Significato della valutazione neuroumorale: risultati ed applicazioni cliniche. Attualità in tema di cardiomiopatie. Atti del 6o Corso di aggiornamento 1995: 71- 101. Dei Cas L, Nodari S, Metra M. Digitale e cuore: indicazioni cliniche e prospettive terapeutiche. La cardiologia nella pratica clinica, 1995; 1: 59-72. Dei Cas L, Nodari S, Metra M, Garbellini M. Il controllo neuroendocrino nello scompenso cardiaco cronico: attuale approccio terapeutico. Aggiornamenti di cardiologia e ipertensione 1995; 5: 29-33. Metra M, Nodari S, Raccagni D, Garbellini M, Moretti M, Boldi E, Zanini R, Dei Cas L. I beta bloccanti nell’insufficienza cardiaca: farmaci del futuro? Attualità in tema di farmacologia clinica e terapia cardiovascolare. Atti del VII Corso di Aggiornamento 1996: 143-160. Nodari S, Metra M, Raccagni D, Garbellini M, Grigolato M, Maiorca P, Raddino R, Dei Cas L. I dopaminergici rivisitati. Attualità in tema di farmacologia clinica e terapia cardiovascolare. Atti del VII Corso di Aggiornamento 1996: 267-282. Dei Cas L, Metra M, Nodari S. I nuovi beta bloccanti nel trattamento dello scompenso cardiaco: razionale di impiego e primi risultati clinici. Cardiologia 1996. Testi di aggiornamento e Atti del 30o Corso di aggiornamento del Centro A De Gasperis – Milano 1996: 476-491. Metra M, Nodari S, Raccagni D, Garbellini M, Boldi E, Grigolato M, Rosselli F, Zanini R, Dei Cas L. I dopaminergici: revisione critica del valore terapeutico e della sicurezza d’impiego. Cardiologia 1996. Testi di aggiornamento e Atti del 30o Corso di aggiornamento del Centro A De Gasperis – Milano 1996: 492-502. Dei Cas L, Metra M, Nodari S. Ruolo dei beta bloccanti di nuova generazione nell'insufficienza cardiaca. Atti VI Congresso Nazionale ANCE, 1996: 50-51. Dei Cas L, Metra M, Nodari S, Rosselli F. Ruolo dell’eco nella valutazione morfo- funzionale dell’evoluzione dall’ipertrofia verso lo scompenso. Appunti di ecografia cardiovascolare. A cura di Giuseppe Gullace. Centro Scientifico Editore, 1996: 9-10. Metra M, Nodari S, Raccagni D, Garbellini M, Boldi E, Maiorca P, Gei P, Zanini R, Leier CV, Dei Cas L. Nuovi beta bloccanti: risultati clinici nell’insufficienza cardiaca. Cardiologia 1996; 41 (Suppl 4): 17-28. Metra M, Nodari S, Raccagni D, Garbellini M, Dei Cas L. The carvedilol trials- editorial. Heart failure update. Cleland J (ed. ), 1996; 1: 2-5. Dei Cas L, Metra M, Nodari S, D’Aloia A, Bontempi L, Zanini R. La condizione anatomica e lo stato funzionale del cuore nella cardiopatia ischemica. Ann Ital Med Int, 1997; 12 (suppl 3): 79S-90S. Dei Cas L, Nodari S, Metra M, Zanini R. Fisiopatologia dello scompenso cardiaco: basi per una razionale strategia terapeutica. Prima parte – Fisiopatologia. Cardiologia extraospedaliera, 1997; 3: 18-27. Dei Cas L, Nodari S, Metra M, Zanini R. Fisiopatologia dello scompenso cardiaco: basi per una razionale strategia terapeutica. Seconda parte – Implicazioni terapeutiche. Cardiologia extraospedaliera, 1997; 3: 124-130. Metra M, Nodari S, D’Aloia A, Zanini R, Dei Cas L. Costo-beneficio del paziente con scompenso cronico. Cardiologia 1997; 42 (Suppl 3): 525-538. Dei Cas L, Metra M, Nodari S. Ruolo dei beta bloccanti di nuova generazione nell’insufficienza cardiaca. VI Congresso Nazionale Associazione Nazionale Cardiologi Extraospedalieri. 1997: 50-51. Dei Cas L, Metra M, Nodari S, Gaiti M, Ferrari M, Maiorca P, Proto A. Impiego dei nitrati nei pazienti con infarto miocardico. Atti del Congresso: Corso diaggiornamento in “Terapia cardiovascolare”. Istituto di Malattie dell’Apparato Cardiovascolare Università degli Studi di Bari; Associazione per la ricerca in cardiologia, Bari, 1997: 47-52. Metra M, Nodari S, Boldi E, Rosselli F, Buffoli F, Turla C, Gaiti M, Bontempi L, Maiorca P, Dei Cas L. Scompenso cardiaco: meccanismi fisiopatologici e definizioni. 10o Corso di aggiornamento cardiologico per il personale infermieristico. 1997: 4-13. Metra M, Nodari S, Boldi E, Garbellini M, Rosselli F, Morandini A, Buffoli F, Turla C, Dei Cas L. Scompenso cardiaco refrattario: orientamenti terapeutici. Lo scompenso cardiaco cronico. Profilo clinico e prospettive terapeutiche. Atti del convegno AS.C.L.O.-A.N.M.C.O. 1997: 97-128. Metra M, Nodari S, D’Aloia A, Boldi E, Rosselli F, Bontempi L, Zanini R, Dei Cas L. Cardiomiopatia ischemica e cardiomiopatia idiopatica: efficacia terapeutica delle varie opzioni farmacologiche. I beta bloccanti. Cardiologia 1997. Testi di aggiornamento e Atti del 31o Corso di aggiornamento del Centro A De Gasperis – Milano. 1997: 594-611. Dei Cas L, Metra M, Nodari S, D’Aloia A, Zanini R. Il paziente ischemico con severa disfunzione ventricolare sinistra. Cardiologia. 1997; 42 (Suppl 3): 669-685. Dei Cas L, Nodari S, Metra M, Proto A. Digitale si, no, quando. Cardiologia extraospedaliera, Ed. SICEX, V l. 3, 1997: 147-153. Nodari S, Metra M, Garbellini M, Maiorca R, Madureri A, Rosselli F, Zanini R, Gei P, Dei Cas L. Fisiopatologia e terapia dell'insufficienza cardiaca cronica. Atti del I Simposio di Cardiologia Italo-Bulgaro - Sofia, ottobre 1996: 7-17. Metra M, Nodari S, D’Aloia A, Bontempi L, Proto A, Vizzardi E, Zanini R, Dei Cas L. I beta bloccanti nel trattamento dell’insufficienza cardiaca cronica. Attualità in tema di: problematiche cliniche e terapeutiche in cardiologia. Atti del 8o Corso di aggiornamento. Bormio. 1998: 55-78. Nodari S, Metra M, D’Aloia A, Zanini R, Gaiti M, Madureri A, Chizzola G, Dei Cas L. Complicanze cardiache dell’ipertensione arteriosa. Attualità in tema di: problematiche cliniche e terapeutiche in cardiologia. Atti del 8o Corso di aggiornamento. Bormio. 1998: 251-271. Dei Cas L, Nodari S, Metra M, D’Aloia A, Zanini R, Garbellini M, Madureri A; Rosselli F. Nitrati: esplosione di conoscenze. Attualità in tema di: problematiche cliniche e terapeutiche in cardiologia. Atti del 8o Corso di aggiornamento. Bormio. 1998: 275-290. Zanini R, Giovannini G, Boldi E, Fiorina C, Metra M, Nodari S, Dei Cas L. Farmaci cardiovascolari e apparato gastroenterico, il parere del cardiologo emodinamista. Attualità in tema di: problematiche cliniche e terapeutiche in cardiologia. Atti del 8o Corso di aggiornamento. Bormio. 1998: 349-366. Dei Cas L, Metra M, Nodari S, D’Aloia A, Zanini R. I beta bloccanti nel trattamento dell’insufficienza cardiaca cronica. Atti del Congresso: Insufficienza cardiaca: dalla terapia medica al trapianto. Istituto di Malattie dell’Apparato Cardiovascolare Università degli Studi di Bari 1998. 10-34. Dei Cas L, Metra M, Nodari S, Madureri A, Giovannini G, Vizzardi E. I beta bloccanti nella terapia della cardiopatia ischemica. Nuove acquisizioni in tema di cardiopatia ischemica. The Menarini series on cardiovascular diseases 1998. 93-106. Dei Cas L, Nodari S. Lo sport come possibile fonte di danno per il sistema cardiocircolatorio nell’uomo e nella donna. Sport e differenze intersessuali 1998: 1- 14. Zanini R, Curello S, Bonandi L, Giovannini G, Boldi E, D’Aloia A, Metra M, Nodari S, Dei Cas L. Eziopatogenesi dell’infarto miocardico acuto. Ruolo della leucocitosi precoce. Cardiologia 1998; 43: 925-931. Metra M, Nodari S, D’Aloia A, Bontempi L, Gaiti M, Vizzardi E, Zanini R, Dei Cas L. The effects of beta blockers on morbidity and mortality in heart failure. Rhythm control from cardiac evaluation to treatment. Proceedings of the VI Southern Symposium on cardiac pacing 1998: 394-409. Dei Cas L, Nodari S, Metra M, Garbellini M, Zanini R. Modificazioni neuroendocrine nel soggetto iperteso. Cardiologia extraospedaliera, 1998; 4; (suppl): 67-72. Dei Cas L, Nodari S, Metra M, Madureri A, Proto A, Gaiti M. Asse cuore-rene nell’iperteso cardiopatico. Cardiologia extraospedaliera, 1998; 4; 3 (suppl): 118-123. Dei Cas L, Metra M, Nodari S, D’Aloia A, Zanini R. Inibizione del simpatico e del sistema-renina angiotensina: un concetto assodato? Cardiologia 1998; 43 (Suppl 2): 807-825. Metra M, Nodari S, D’Aloia A, Bontempi L, Cagnazzi E, Zanini R, Dei Cas L. I beta bloccanti nel trattamento della cardiomiopatia dilatativa idiopatica. Cardiologia 1998; 43 (suppl 2): 993-1005. Metra M, Nodari S, D’Aloia A, Bontempi L, Vizzardi E, Zanini R, Dei Cas L. Cardiac hemodynamic response to exercise in heart failure. Heart Failure 1999; 15: 16-28. Metra M, Nodari S, D’Aloia A, Bontempi L, Boldi E, Berlinghieri N, Zanini R, Dei Cas L. Costi e benefici della gestione extraospedaliera del paziente scompensato. La cardiologia nella pratica clinica, 1999; 2: 93-102. Metra M, Nodari S, D’Aloia A, Cagnazzi E, Fiorina C, Verde S, Dei Cas L. Beta blockers in heart failure: issues in the management of individual patients. Heart Failure Reviews, 1999; 4: 65-77. Dei Cas L, Metra M, Nodari S, Bontempi L, Cagnazzi E, Fiorina C, Lombardi D, Verde S. Modalità assistenziali per il paziente con insufficienza cardiaca. La terapia dello scompenso cardiaco: indicazioni attuali e prospettive future 1999: 45-60. Dei Cas L, Metra M, Nodari S. Lo scompenso cardiaco. Livelli da tenere sotto controllo. Ricerca Roche, trimestrale di aggiornamento 1999; 4: 16-19. Metra M, Nodari S, Dei Cas L. Lo scompenso cardiaco. Un’inibizione che guarisce. Ricerca Roche, trimestrale di aggiornamento 1999; 4: 43-45. Metra M, Papa A, Boldi E, Garbellini M, Rosselli F, Proto A, Chizzola G, Maiorca P, Gaiti M, Ferrari M, Nodari S, Dei Cas L. Fisiologia dell’esercizio. Corso teorico- pratico di riabilitazione cardiologica 1999: 35-46. Metra M, Nodari S, D’Aloia A, Madureri A, Vizzardi E, Cagnazzi E, Bontempi L, Zanini R, Dei Cas L. Meccanismi cellulari dei benefici effetti dei beta bloccanti. Cardiologia 1998. Atti 32o Convegno internazionale del Dipartimento Cardiologico e Cardiochirurgico A. De Gasperis, 1999: 629-645. Nodari S, Metra M, Dei Cas L. I nitrati nello scompenso cardiaco cronico. Controversie in cardiologia. Incontri con gli esperti. 32o Convegno Cardiologia 1998 promosso dal Dipartimento Cardiologico e Cardiochirurgico A. De Gasperis, 1999: 253-257. Bontempi L, Metra M, Verde S, Boldi E, Fiorina C, D’Aloia A, Nodari S, Dei Cas L. Può l’impiego di una unità per il trattamento dell’insufficienza cardiaca ridurre i costi gestionali per il follow-up ed il trattamento dei pazienti affetti da insufficienza cardiaca severa? Atti di Trento Cardiologia ’99. Giornate Nazionali di Aggiornamento Cardiologico, 1999: 133-134. Zanini R, Curello S, Boldi E, Bonandi L, D’Aloia A, Nodari S, Metra M, Berlinghieri N, Dei Cas L. Gli anticorpi monoclonali antipiastrinici nel laboratorio di emodinamica. Attualità in tema di: cardiopatia ischemica, aritmie e scompenso cardiaco. Atti del IX Corso di aggiornamento. Bormio. 1999: 81-90. Metra M, Nodari S, Cagnazzi E, Bordonali T, Fiorina C, Vigliani Boglioni F, Lombardi D, Verde S, Dei Cas L. Rapporto costo-efficacia nello scompenso cardiaco. Attualità in tema di: cardiopatia ischemica, aritmie e scompenso cardiaco. Atti del IX Corso di aggiornamento. Bormio. 1999: 137-159. Nodari S, Metra M, Berlinghieri N, Madureri A, Cagnazzi E, Bordonali T, Vigliani Boglioni F, Lombardi D, Verde S, Fiorina C, Dei Cas L. Gas e farmaco: ruolo attuale dell’ossido nitrico. Attualità in tema di: cardiopatia ischemica, aritmie e scompenso cardiaco. Atti del IX Corso di aggiornamento. Bormio. 1999: 189-227. Dei Cas L, Metra M, Nodari S, D’Aloia A, Zanini R, Berlinghieri N, Verde S. I beta bloccanti nel trattamento dell’insufficienza cardiaca cronica. 15o Convegno per infermieri in cardiologia. Problematiche di ordine scientifico e professionale in area cardiologica. Dipartimento medico-chirurgico cardio-toracico “A. De Gasperis” ospedale “Ca’ Granda” 1999: 155-176. Metra M, Nodari S, Berlinghieri N, Dei Cas L. Modulazione dei recettori adrenergici: un’avventura molecolare e farmacologica nel trattamento dell’insufficienza cardiaca cronica. Atti II Corso di aggiornamento in ‘Terapia cardiovascolare’, 1999: 97-116. Nodari S, Metra M, Fiorina C, Dei Cas L. Beta bloccanti nell’insufficienza cardiaca: attualità e prospettive. Atti del VII Congresso Nazionale GIEC, 1999: 27-39. Metra M, Nodari S, Verde S, Fiorina C, Cagnazzi E, Dei Cas L. I beta bloccanti hanno probabilmente mantenuto le loro promesse prolungando l’aspettativa di vita nei pazienti con scompenso cardiaco. Ma hanno anche migliorato la qualità di vita di questi pazienti? Atti di Trento Cardiologia ’99. Giornate Nazionali di Aggiornamento Cardiologico, 1999: 52-54.